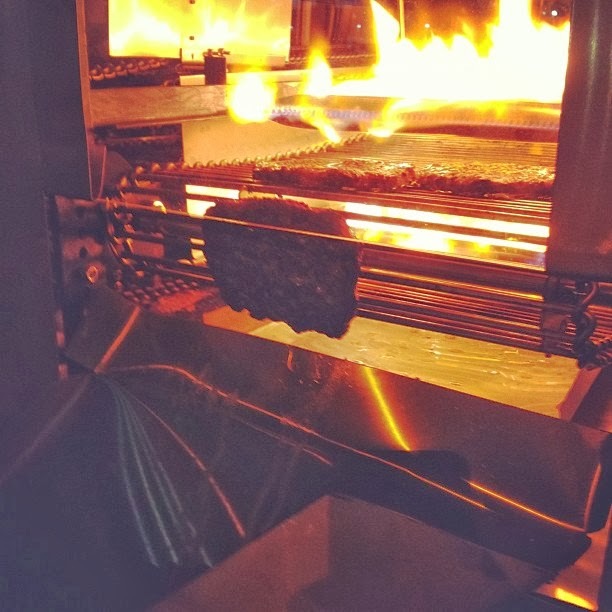 Lemon Harangue Pie: Will this burger-making machine render fast food employees obsolete? 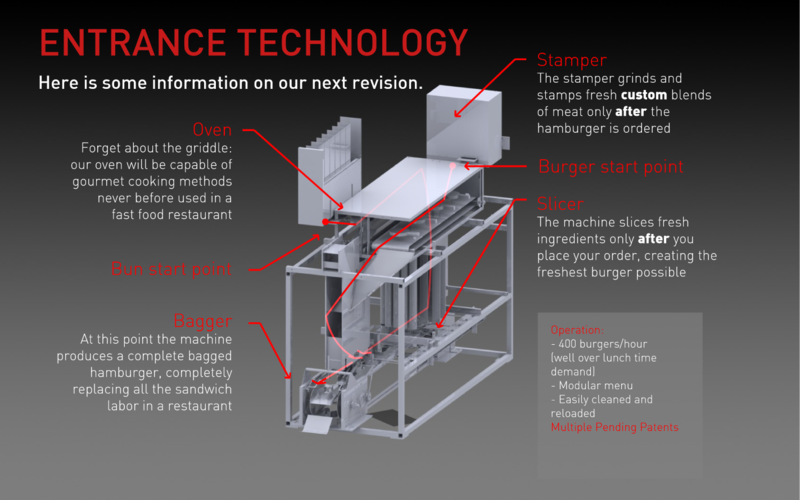 Will this burger-making machine render fast food employees obsolete? Many parents have tried to motivate their lazy teenagers by asking, "Do you want to end up flipping burgers for a living?" 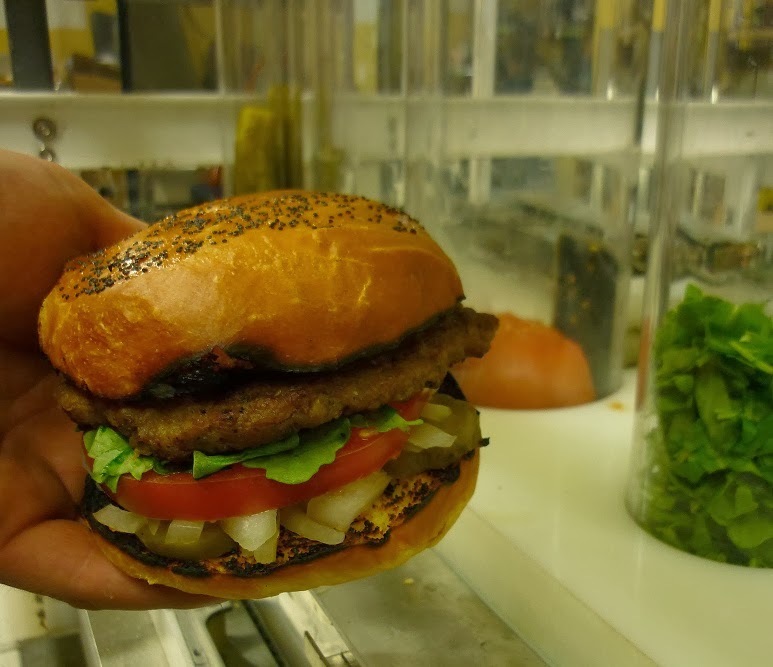 Thanks to the innovative minds at Momentum Machines, that question may soon be replaced by, "Do you want to end up putting ingredients into a burger-flipping machine for a living?" 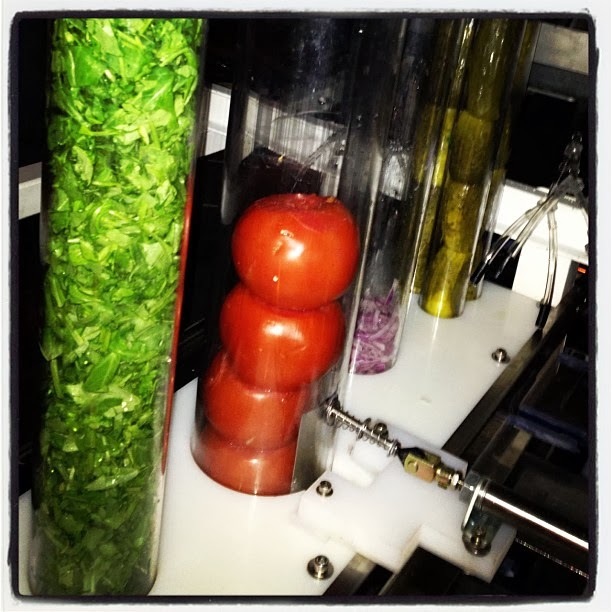 It's more consistent, more sanitary, and can produce ~360 hamburgers per hour. The nice thing about a machine making your food is that you don't have to worry about it remembering to wash its hands before returning to work after a bathroom break.